Order in the next 5 hours 39 minutes and your package will ship on Friday, April 26. Order in the next 5 hours 39 minutes and your package will ship on Wednesday, May 8. 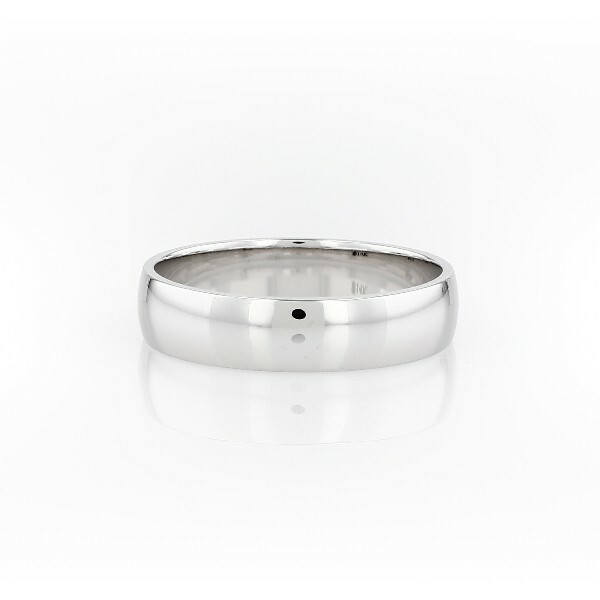 This classic 14k white gold wedding ring will be a lifelong essential.The light overall weight of this style, its classic 5mm width, and low profile aesthetic make it perfect for everyday wear. The high polished finish and goes-with-anything styling are a timeless design.